Not all Acupuncture is the same. Known as Classical Five Element Acupuncture or CFEA, this method was honed by Professor J.R. Worsley (1923-2003). Fellow acupuncturist and co-author J.B. Worsley, his wife, has been entrusted with its legacy and has worked tirelessly to maintain and keep intact the clarity and spoken teachings of this distinct style within the context of the world-wide practice of Acupuncture. Classical Five Element Acupuncture has attracted a resurgence of interest and popularity amongst many, including celebrities, who are searching for optimum wellness but specifically those seeking help with all aspects of fertility. It has achieved remarkable success rates, most notably for individuals attempting to conceive and whom are also using IVF. If IVF has not proved successful and clients wish to benefit from a safe, natural and efficacious style of Acupuncture, it can easily run alongside other approaches, as well as being used as stand-alone system in its own right. Its effectiveness can be explained by the simple fact that this style remains true to Acupuncture’s original source teachings and intention. Classical Five Element Acupuncture, or CFEA is a unique complete system of medicine that revolves around an intimate understanding of natural laws that are found within nature and internally within mankind. CFEA aims to promote the overall balance that is a prerequisite for sound physical, emotional and mental health. A core aim of this style of Acupuncture treatment is to facilitate this greater balance and resilience within the client, together with enhanced well-being and the attainment of longevity. CFEA aims to prevent dis-ease from taking control of the life of a person, thereby liberating the individual to fulfill their life’s purpose by treating the causes that if left unsuitably treated, would otherwise generate more serious expressions of illness. 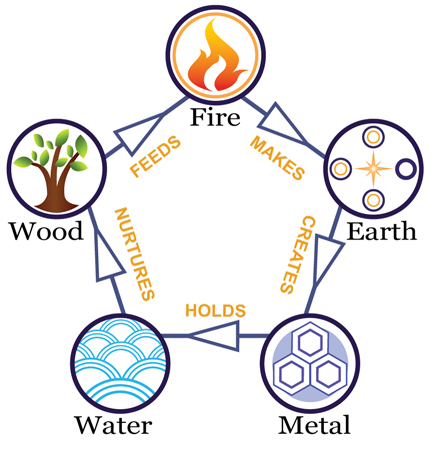 A trained Classical Five Element Acupuncturists central role is to identify which of the five elements; Water, Wood, Fire, Earth, Metal, is in distress and is hence disrupting the flow cycle of energy that permeates and connects these elements together in a harmonious animated whole (see above diagram). Identification of the single element takes considerable training, skill and experience on the part of the practitioner. When the client’s Causative Factor (C.F.) is treated, this results in the root disturbance being re-balanced. A better quality of life is permitted to return as the individual naturally flows into greater alignment within themselves. Certain principles of the basic laws of physics can assist in explaining these changes – a significant change in the functioning energetic state on a causal level generates beneficial ripple effects, simultaneously fortifying on deep levels. In other words, as the internal energy state changes in the client on the inside, so the outer life changes in response. A significant change or positive shift in the energetic functioning state of a client who has experienced successful CFEA treatment can lead to the consequence of their mass or body symptoms changing, as an entirely natural response. Current physical autopsy practices cannot prove the existence of meridian pathways and therefore confirm how acupuncture works, however, it simply would not have remained in existence for the duration it has, if countless numbers of patients had not experienced its tangible benefits. Biological impedance devices can measure changes in fine electrical conductivity and therefore validate the existence of these meridians, but it would appear that current medical paradigms are as yet stretched to account for and measure accurately this subtle energy and thereby confirm the principles and science behind Acupuncture. There are many styles of Acupuncture, all differing in their approach to the patient and in their resulting effects. As Acupuncture was migrated to the West, it was to an extent packaged to fit alongside and therefore appeal to, the existing medical models already in place. In effect the ‘spirit’ of Acupuncture was relegated in favour of conformity with rather narrowly defined rational scientific explanations. This interpretation of Acupuncture became what is referred to as TCM (Traditional Chinese Medicine, or Traditional Asian medicine) or syndrome/symptom based Acupuncture. Even within these TCM parameters, there are observable measurable results – where Acupuncture points are treated on the basis of symptoms, for example headache point stimulation to relieve headaches and first aid point applications. For the safest and best results, and so as to work with a natural direction of cure that involves non suppression of presenting symptoms, the whole person should be factored in to treatment, together with an accurate perception of their C.F. This is the fundamental difference with the CFEA approach and philosophy. To use an analogy, CFEA specifically focuses and addresses the ‘roots’ of a client’s imbalances rather than the ‘branches’; ‘roots’ being the causes and ‘branches’ and ‘leaves’ the symptoms. Successful treatment is not reliant upon treating symptoms, so this is not the basis upon which assessment is made. Symptoms can stem from any of the functionaries within any of the five elements. For example, a Fire element Official is the Heart, as ‘The Supreme Controller’ which functions in a way that no other Official can. Imagine for one moment, what might happen to the kingdom (the body-mind-spirit) if this Official decided to take a long leave from their obligations to the state. The Officials are rather like Ministers in an Imperial court and should be understood in terms of what they do and not for what they actually are, i.e. a physical organ. There are twelve Officials, who ceaselessly work with one another in harmonious balance to maintain the health of the whole kingdom i.e. body-mind-spirit. What are the steps of treatment and what can you expect? One and a half to two hours are required for the initial assessment and physical diagnosis protocols. A confidential case history and current issues are recorded that are essentially patient-led and without too much direction of the practitioner in which way the interview should develop. This permits a balanced perception of the C.F. of the client. Ultra-fine needles are applied along channels in the body called meridians. Unblocking and balancing the flows along these meridians allows the body to re-establish its equilibrium. The intention is to treat each unique individual as a whole by addressing precisely and directly the underlying root cause of ill-health. Pre-sterilised single-use needles are used, which are safely disposed of after the treatment. Improvements may well be immediate, although allowance needs to be made for the level and depth of disturbance in the client. In other words, how long has the client lived with the imbalance and is the individual’s situation a chronic or acute case? Appointments are scheduled as per the findings of the assessment directly in clinic – this may mean there is necessity to return within a couple of days for a further treatment or weekly/monthly depending on individualised requirements. When meridian points are needled with an ultra-fine needle, the experience ranges from no sensation at all, to a mild ‘electrical-like’ impulse, to a dull heavy sensation, although each point has a distinct feel and energetic quality. Whilst any and all individual experience is acceptable, the immediate response may give the practitioner valuable information how Chi energy is moving and responding to positive guidance and instruction. Vital to the CFEA method is use of a dried form of the herb Mugwort known as Moxa. This is applied to points prior to needling, to make the clients experience both more profound and more comfortable. It has a long history of medicinal use and may even predate the use of needles. It can stimulate the Chi to flow and works with infra-red radiations, having a myriad of beneficial energetic effects. Clients often respond with a feeling of deep calm during and after the treatment, or feeling refreshed and ‘recharged’ and can even enter into a healing or re-balancing sleep, to list just a few of the possible responses to treatment that may be encountered. What are the benefits of CFEA? 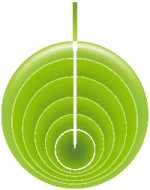 Acupuncture is considered one of the safest medical treatments in both conventional and complementary medicines available in the UK. In its various forms, it has been around for some 5000 recorded years and was in practice long before modern ‘orthodox’ medicine, which has appeared comparatively recently on the mainstream medical scene. Unlike many other forms of medical intervention which present inherent risks and side effects, when treatment is administered by a qualified CFEA professional, it is safe and acts in accordance with the laws that govern both nature and mankind. A single ‘Causative Factor’ or C.F. of the patient is ascertained and this C.F. is linked to one of the five elements; Water, Wood, Fire, Earth, Metal. It is from this C.F. that all the clients’ symptoms in body-mind-spirit originate, so treatment using CFEA is addressed at a causative level. In contrast, other Acupuncture styles frequently offer symptomatic and therefore therapeutic benefits only. CFEA works very precisely in alignment with a defined direction of cure, which makes it distinct from other approaches. As the spirit-mind-body returns to balance, symptoms often reappear in reverse chronological order, leaving in a specifically delineated direction as imbalances travel from inside to outside and from more vital organs to less vital organs, for example the skin. If there is a brief recurrence of symptoms, a sense of feeling better or more yourself on a deeper level is often then frequently experienced. CFEA is a superlative form of preventative medicine which works closely both with nature and with the natural cycles within clients that change throughout the year. These rhythms are affected by various pressures such as; accidents; lack of sleep; physical, emotional or chemical stress; age; trauma and other lifestyle factors.